When you the Summons hear. That we have lately heard. To cast us in the Tomb. Up to they Throne on high. Black Preacher to White America: The Collected Writings of Lemuel Haynes, 1774-1833 – A Poem, Occasioned by the Sudden and Surprising Death of Mr. Asa Burt ed. Richard Newman (Brooklyn, NY: Carlson Publishing, Inc, 1990) p. 7-8. Thomas Watson commenting on Westminster Shorter Catechism question 39. Coming soon from Baker Academic. Pre-order link to Amazon in bio. Thomas Watson on Westminster Shorter Catechism, Question 1. New book alert from @banneroftruth Nicely done! The 1979 and 1984 brown and beige editions of Calvin's Commentaries from Baker Book House are some of the nicest out there, fit for Calvin's expository faithfulness that has stood the test of time. Westminster Shorter Catechism. Question 5. The Rev. Francis Grimké eulogizing his long-time friend James H.N. Waring in 1924. Would that the same could be said of many of us! 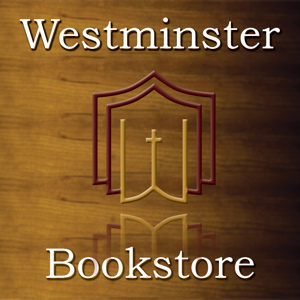 HUGE Reformation sale going on at Westminster Bookstore this week (link in bio): - The Christian's Reasonable Service (4 vols) by Wilhelmus a'Brakel: 50% off. 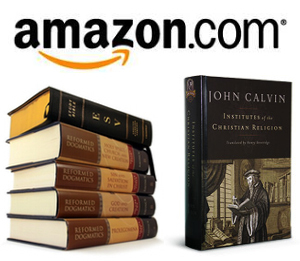 - The Reformed Confessions of the 16th & 17th Centuries in English Translation (4 vols): 50% off. - The Institutes of Elenctic Theology (3 vols) by Francis Turretin: 40% off. - The Works of William Perkins (4 vols): 50% off. See all the deals at the link in bio.
.@wts_books has another huge 50% off sale on this four volume set of "2000 Years of Christ's Power" by Nick Needham. Carl Trueman says of it: "For many years now I have said: if you want a thorough, learned but accessible and well-written history of the church, read Nick Needham's 2,000 Years of Christ's Power." Link in bio. A brand new, beautiful edition of John Bunyan's "Pilgrim's Progress" out from @banneroftruth, so you know it's good (link in bio). $24 for this newly released 900 page mammoth on the Reformation is a steal right now on Amazon (link in bio). "To master [the works of John Owen] is to be a profound theologian." 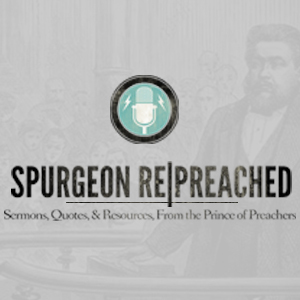 - Charles Spurgeon John Owen's magisterial volume 3 on The Holy Spirit is a great place to dive in (link in bio).